Made by Bahco in Sweden the Laplander saw is specifically designed for the outdoors enthusiast. It is only 9 inches long in the folded position and weighs just 6 ounces. 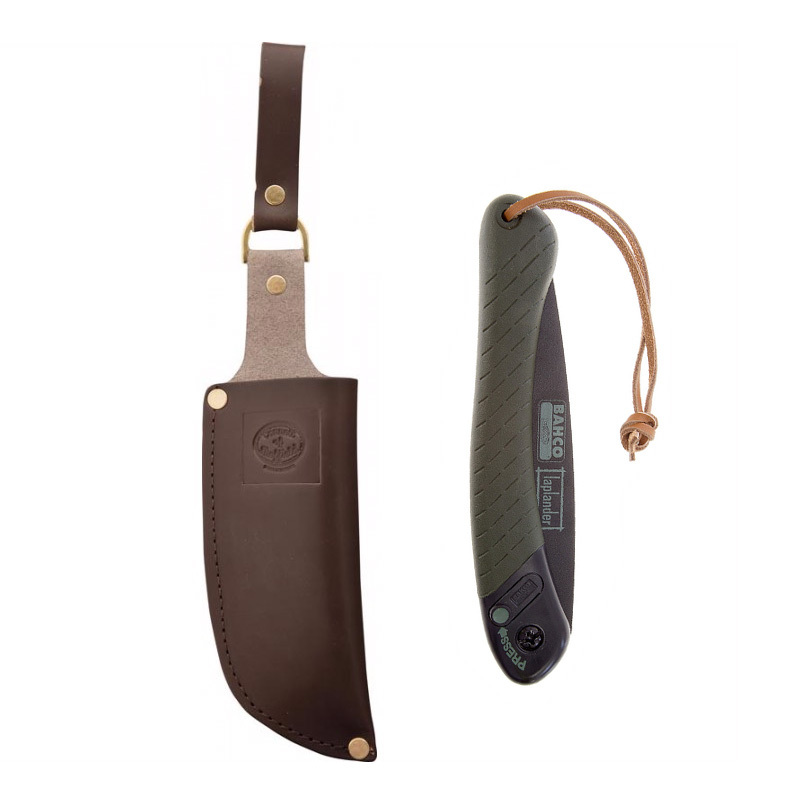 The saw comes supplied with a high quality veg tanned leather sheath. The saw is small enough to fit into any rucksack.The blade is made from high-quality Sandvik steel and the Non-stick coating helps the blade glide thorough even the most difficult materials. "We use this saw on courses as it cuts the amount of effort you need to put into each stroke of the saw by 50%, we also like the lightweight, folding functionality of this saw, perfect for slipping into a rucksack and heading off into the woods." Advantages: The blade is made of high quality steel and designed to cut in both directions so makes sawing quick and effortless. From a safety point of view the blade has a locking mechanism to lock the blade in both the open and closed positions. 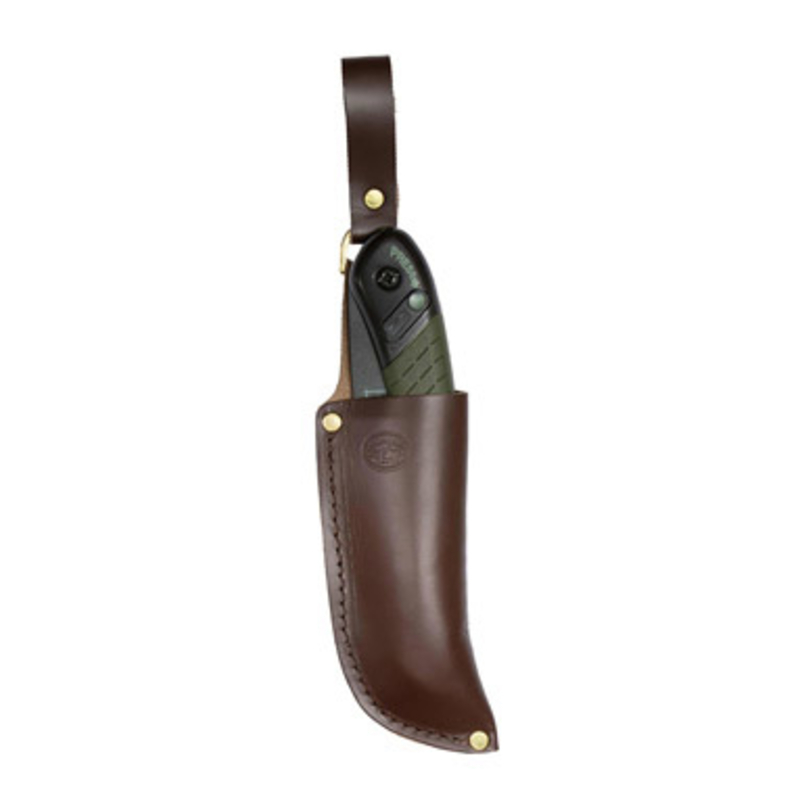 Leather sheath included for storage/easy access. SAVE £5 when compared to purchasing both these items separately! Please include your telephone number on your order to avoid delays in us being able to contact you.